FOGRA Approved Instant Dry Photo Satin Inkjet Plotter Paper 250gsm. This water resistant satin coate..
Canon 1929B002AA Photo Glacier Satin Paper 300gsm. A heavyweight photographic paper with a glacier s.. Instant Dry Photo Satin Inkjet Plotter Paper 260gsm to fit HP Designjet Z6 & Z9+ Printer. Canon ..
HP Designjet T520 Coated Inkjet Plotter Paper 230gsm. Premium double weight coated plot paper to print at high resolutions of up to 1440dpi and with a non-reflective matt surface to produce exceptionally dense blacks and vibrant colours and a short drying time. Suitable for a wide range of applications including CAD, GIS, AEC and Graphic Design presentation quality prints. 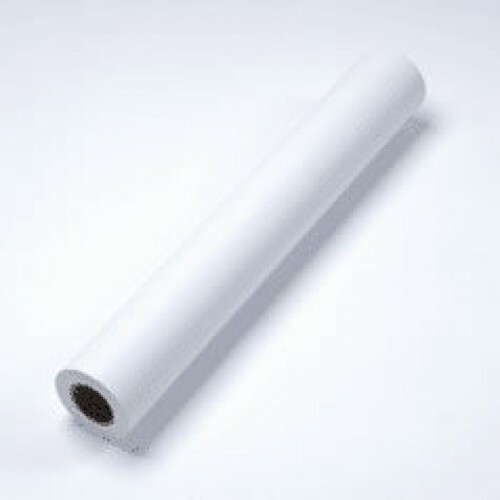 Suitable for hot and cold lamination. For use with all dye, pigment and oil based wide format inkjet printers including HP, Oce, Canon and Epson.